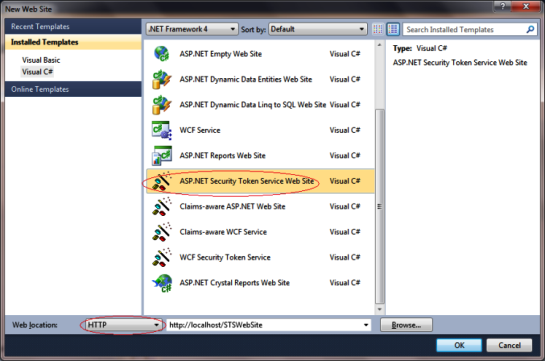 This entry was posted in ASP.NET, Cloud, WIF and tagged Sample, STS, WIF. Bookmark the permalink. I am very excited about this tecnhology. 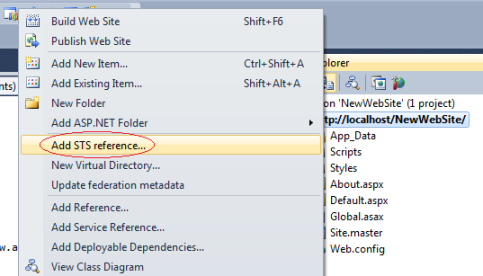 In your example when we get redirected back to the RP site the web app still crashes. 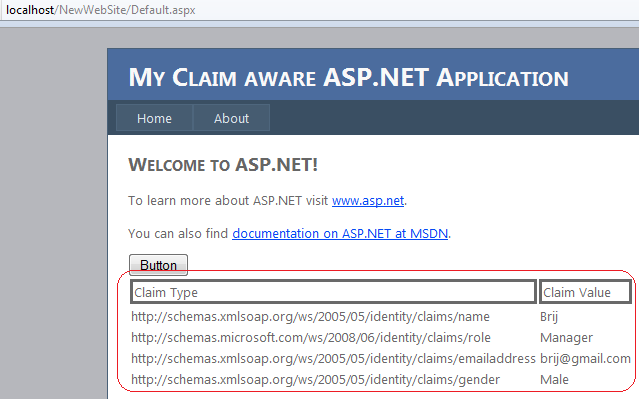 Another thing, you dont explain how to get the claim info and use it in the web app. Are you going to continue on this series? I have added a section “Reading Claims at Relying Party(RP)” > Now you can see this it’s easy to read the claims. I have written third part in the series as well. Find the link below. 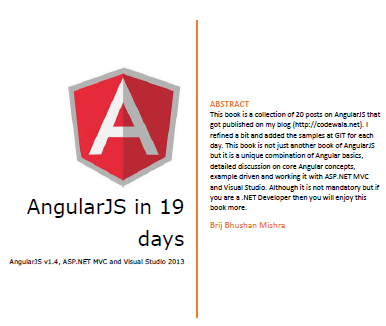 I’m also planning to write more article post in the series. Hope you’ll like those. I can browse the new STS Web Site and get a login page, but pressing submit gets the following error back: The action ” (Request.QueryString[‘wa’]) is unexpected. Expected actions are: ‘wsignin1.0’ or ‘wsignout1.0’. 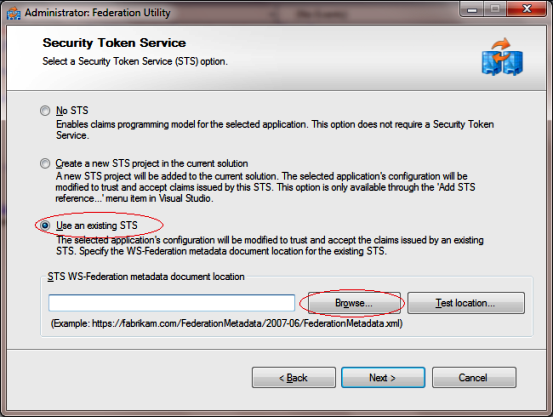 If any website rely on any STS for authentication then if you try yo access to access the Website then it redirects to STS with appropriate request. The long URL actually holds that request in some specific format. STS then decodes it and takes appropriate action. 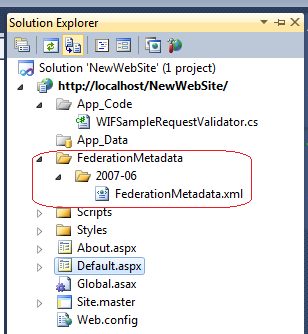 If somehow the URL gets modified then STS may not understand the URL and throws the error. thanks brij. Currently i able to call more then one STS service for same application, as you know for webservices, we can add more than one webservices to single application and we can call those services. But here for STS service it not happening, it making to add only one STS service, and if i try to add another STS service, then it replacing current STS service with new STS service. 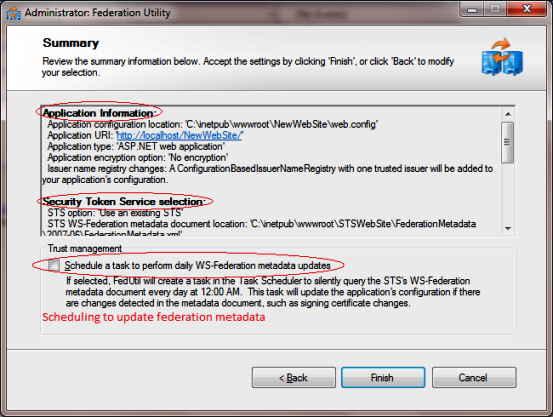 my requirement i suppose to use both new and old STS services. Can i know is it possible? 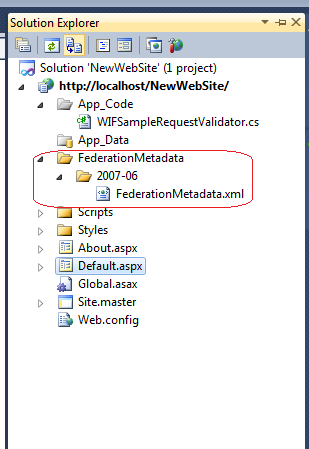 Brij can you tell me what sort of information is there in the federation metadata? 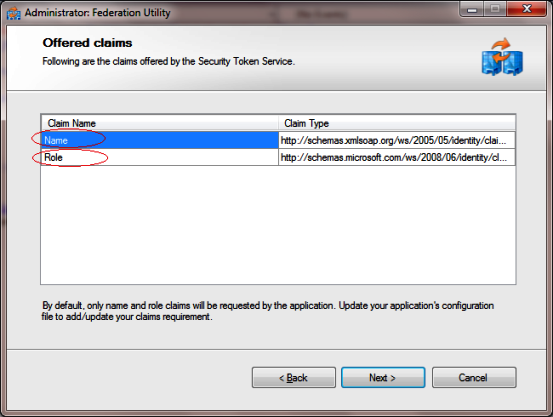 In Claim based authentication, at least two application get involved, one is Identity Provider and Relying Party. So first to start the system, there should be a trust relationship IP and RP. 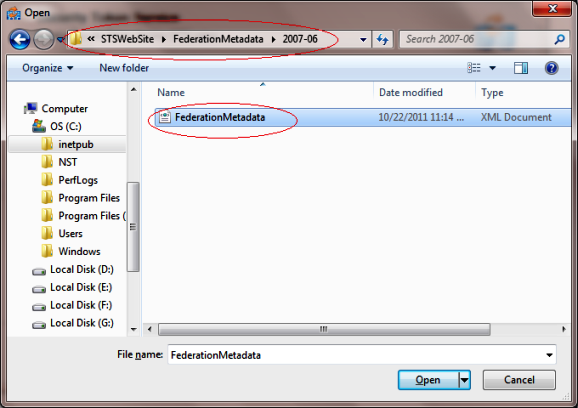 This trust relationship is made using federation metadata. This contains the required information about IP like details of IP, the format/protocol used to send the token, the signing information of token and other required information. So while in action it can verify the sign of the token and understand the token. I got the exact same error, can you provide steps to resolve the issues? Actually i am trying to block an unwanted user from my application. As per my understanding an user can only access the Relying party application after getting authorized by STS.How can i block an unauthorized user. I am not sure, what is your actual requirement? 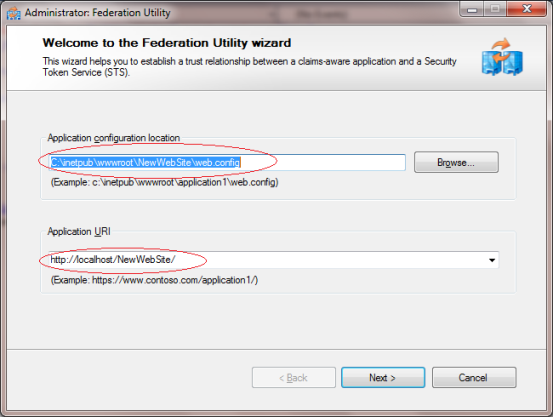 Once the user is authenticated by STS then it’ll have the access to relying party. 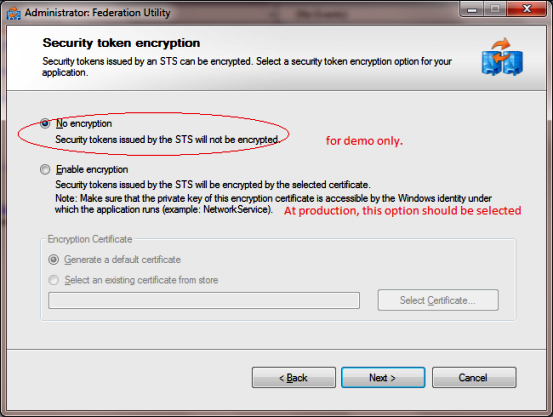 Is your requirement not to allow access to Relying Party for some user even if they are authenticated by STS?